The project is designed to promote job creation, gender equality and poverty reduction amongst young cassava producers in the country. To be implemented in seven provinces, the project will develop 10 industrial clusters, five of which will be urban and the other five rural. "The project is expected to stimulate a 25 per cent increase in business volumes for youth and women-led micro, small and medium enterprises operating in the industrial clusters in target market segments as well as the creation of 17,000 on-farm and 4,000 off-farm job opportunities for women and youth," said Sunita Pitamber, director for human development at AfDB. 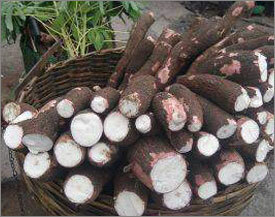 The project will also support the development of the cassava value chain with a focus on local and regional market linkages, technology and innovation and enabling government policy reforms. The industrial clusters will equip 17,000 cassava farmers associations and cooperatives with business and technical skills for the production and the commercialisation of cassava products to ensure high yields accompanied by timely and efficient production and storage capacity. In addition, the project will finance the construction of 15 cassava bulking centres, five of which will be equipped for a pilot project of the production of fortified garri by a cooperative of 500 women. Other expected benefits from increased production are improvements in food security in the region; nutrition and early childhood development through fortified cassava products in school-feeding programs; additional inputs to livestock and fisheries feed; and inputs to the paper and extractives industry.